Milestone P2a - Design caplet in IronCAD and import into viewer. Milestone P2b - Design/import animation frames. Milestone P2c - Crowd Simulation. Milestone P2d - Level of Detail. 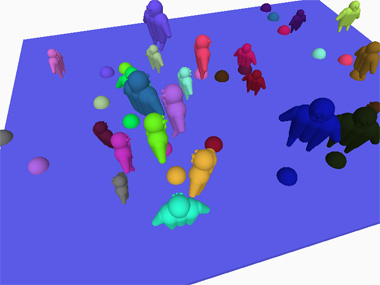 Milestone P2e - Integrated 3D crowd simulator.